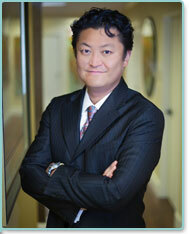 Geoffrey S. Kim, MD is the leading provider of the QuickLift® Face Lift procedure in the Denver, Colorado area. Dr. Kim believes the key to exceeding his clients' expectations is to customize each surgery to the unique anatomy of his patient. His hallmark being the meticulous attention paid to every detail of the surgery beginning with the consultation and continuing through to the follow-up care. Being trained in two surgical specialties, general surgery and plastic surgery, Dr. Kim blends his extensive surgical experience with his aesthetic artistry to exceed his clients'. Fellowship in plastic surgery at the University of Kansas Medical Center in Kansas City, KS. Residency in general surgery at New York Medical College, Westchester Medical Center.